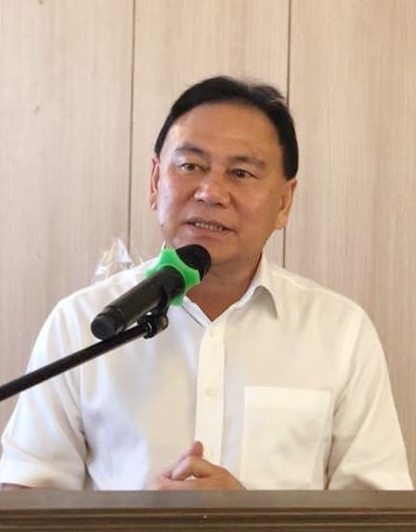 KOTA KINABALU: The State Government led by Parti Warisan Sabah (Warisan) should be given time to do their job given its largely young and inexperienced cabinet members, said Liberal Democratic Party (LDP) acting president Datuk Chin Su Phin. He also believed that the new State Government led by Datuk Seri Panglima Shafie Apdal would be more transparent and corruption free. Chin said he concurred with Shafie’s recent announcement about the proposed issuance of special documents for illegal foreign workers to address labour shortage in Sabah, particularly in the plantation sector. He said labour shortage was a challenge faced by many sectors in the State. Chin said he had once proposed to the previous government to emulate Singapore whereby employers deduct foreign worker levy from the monthly salary of their Malaysian employees. He said Sabahan employers were currently required to pay expensive, one-off levy when hiring foreign workers. “However, the turnover of foreign workers is very high and employers suffer huge losses when their employees quit and work for another company. “Should the State emulate our Singaporean counterpart, employers could help monitor the movement of their foreign workers and need not expend a lot of money for one-off levy payment,” he said that when officiating at the joint conference of LDP Api-Api, Likas, Kapayan and Pantai Manis divisions here yesterday. On another note, Chin said the Pakatan Harapan (PH), especially Prime Minister Tun Dr Mahathir Mohamad, was committed to fighting and eradicating corruption. He said the highly transparent administration was bound to earn the support of the people. He added that Shafie had also emphasized on curbing corruption in Sabah. “We believe there are officers appointed by the previous administration who may have involved in negative practices. Additionally, Chin said he supported Shafie’s proactive measure to tackle illegal logging and ban the export of logs from Sabah. “Former chief minister Tan Sri Musa Aman once stated that the issue of illegal logging was under control in the State, yet a huge amount of illegal logs were uncovered in a raid recently when the new State Government took over. “The new administration is building a good track record in the mere few months since the election. On another issue, Chin highlighted the lack of efficiency in certain local authorities (PBT), particularly in the application or renewal of trading licence. He lauded Kota Kinabalu City Mayor Datuk Yeo Boon Hai for ensuring that the application and renewal of trading licence is done within a week. He said the new government of Sabah had spoken strongly against bribery and corruption and this should be the right way forward. Chin said LDP would support and cooperate with the present government on policies that delivered tangible benefits to the people. “While most cabinet members in the State Government led by Warisan are young and inexperienced, we should give them time to do their job. “Under the able leadership of Shafie, I believe the State Government will be more transparent and corruption-free.